William Thornhill Service Details - East Liverpool, Ohio | Dawson Funeral Home, Inc.
Obituary for William H. Thornhill Jr.
EAST LIVERPOOL – William H. Thornhill, Jr., of Lisbon, passed away Sunday, October 21, 2018 at the East Liverpool City Hospital following a brief illness. He was 68. Born in East Liverpool, May 5, 1950, he was a son of the late William H. Thornhill, Sr. and Beatrice Clark Thornhill. 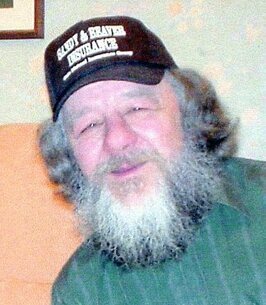 A member of the Beaver Local High School Class of 1968, he was a lifetime area resident and enjoyed fishing and cooking. He is survived by a daughter, Christine Newman of Canton, and a step-daughter, Roxann Leverknight of Washingtonville, as well as two brothers, Timothy W. Thornhill of Lisbon and Mark Thornhill and his wife, Colleen, of Calcutta. There are six grandchildren. In addition to his parents, he was preceded in death by a daughter, Cynthia Blough, a sister, Mary Jane Murphy, one brother, Gary Thornhill, and his life partner, Shirley Yeager. Services for the immediate family were held at the Dawson Funeral Home. A public memorial service will be held at 10:00 a.m. Saturday, October 27, 2018 at the First Christian Church, 39 Cherry Street, Columbiana, Ohio. Following the service, friends and family will gather at the church for a luncheon. To send flowers to the family of William H. Thornhill Jr., please visit our Heartfelt Sympathies Store.